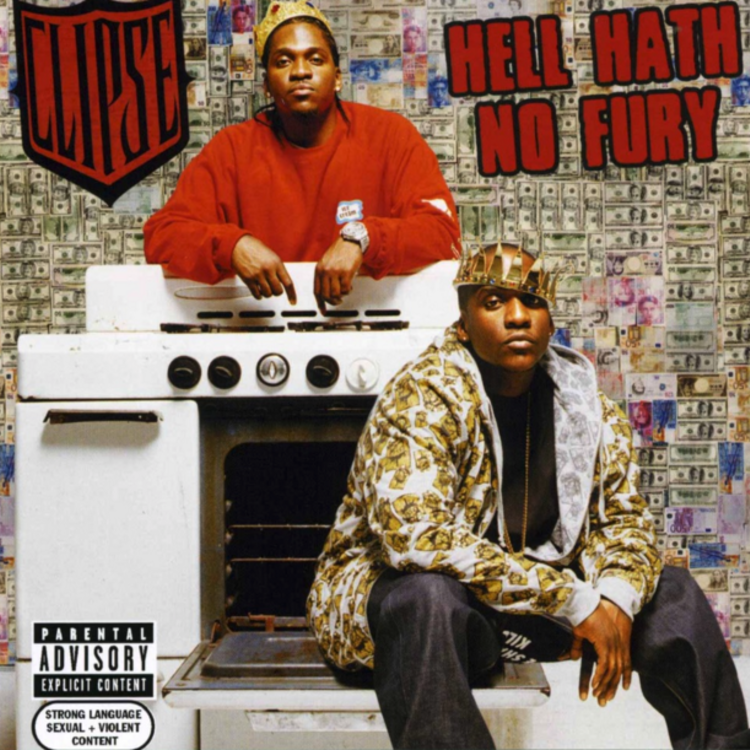 Today's #TBT revisits the pinnacle of '00s coke rap with Clipse's "Mr. Me Too." Yesterday saw the return of No Malice, the artist formerly known as Malice, with a Holy Ghost-inspired track titled "Best Believe It." Thus, for today's weekly TBT track, we're revisiting some of the magic he concocted alongside his younger brother, current GOOD Music President Pusha T, as the act known as Clipse, arguably the hottest duo in rap across the '00s. One of the biggest tracks to ever come out of the Virginia brothers' partnership is "Mr. Me Too," the lead single off their magnum opus: 2006's Hell Hath No Fury. Since the dissolution of Clipse, Malice has found God and his brother has found stardom as a solo act. Though Push has released some incredible music without his brother -- and could easily have a forthcoming classic with King Push -- nothing has quite ever touched the ice-cold coke rap perfection exhibited on Hell Hath No Fury. Much of the credit has to go to the executive producers of the album, The Neptunes -- the duo of Chad Hugo and Pharrell, the latter whom lends a verse as well as the cool but sinister hook on "Mr. Me Too." But atop the grimy, low-end production was a remarkable chemistry -- not surprising, considering the two immensely skilled lyricists are brothers who stood by each other for years in the drug game before getting a record deal. And bringing it back to Malice, he totally lives up to his old moniker here, laying down the best verse on the track.